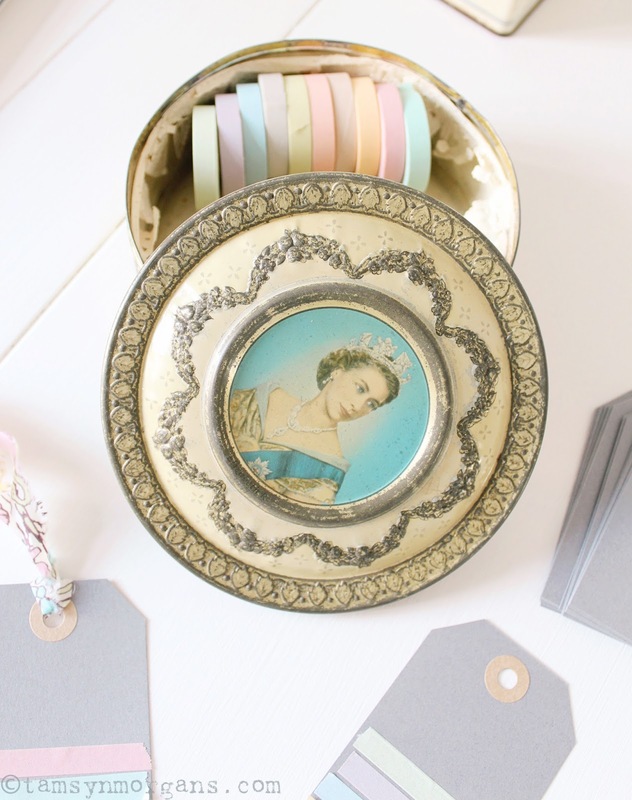 Prettifying My Desk With Etsy! Hello everyone, I hope you had a good weekend! 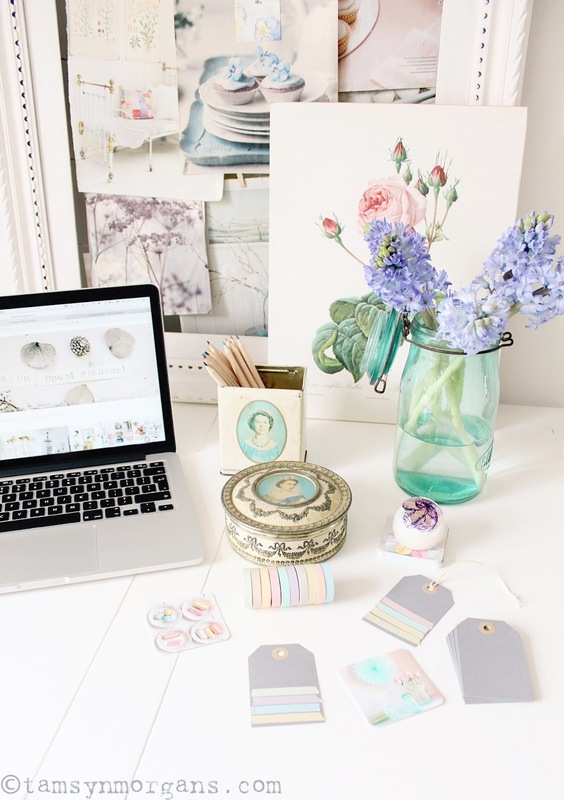 So, the lovely folks at Etsy UK got in touch with me and invited me to Dress My Desk with their #EtsyDeskie challenge. They kindly sent me a voucher so I could choose some pretty and practical items to spruce up my work area, which was, quite frankly, the sort of challenge I love! 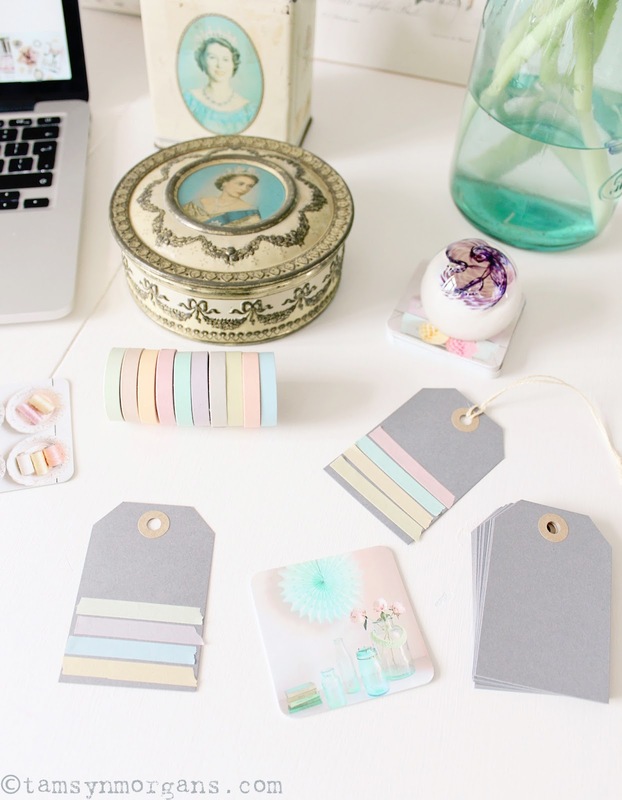 I had lots of fun browsing the many shops for bits and bobs to adorn my desk with. 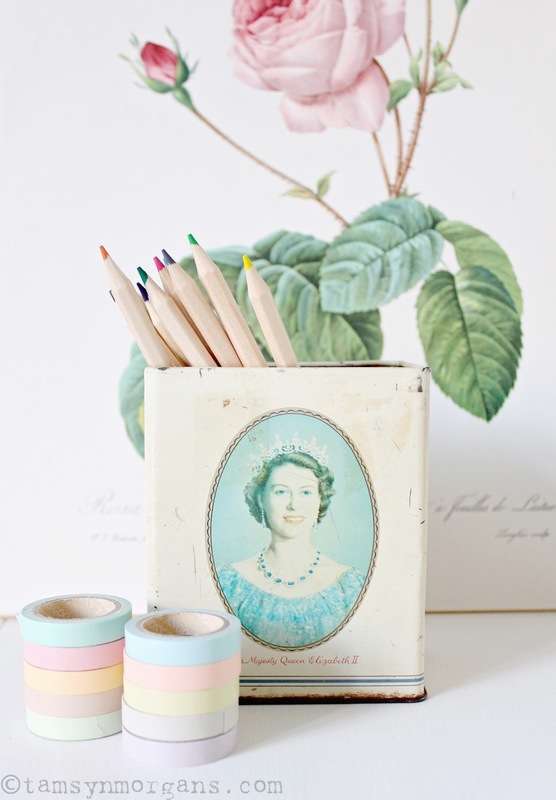 As you know, I can’t resist a bit of vintage Royal memorabilia, especially old tins in faded pastel colours, so I was delighted when I found these two Queen Elizabeth tins, perfect for using as a pen pot and for hiding away paperclips. 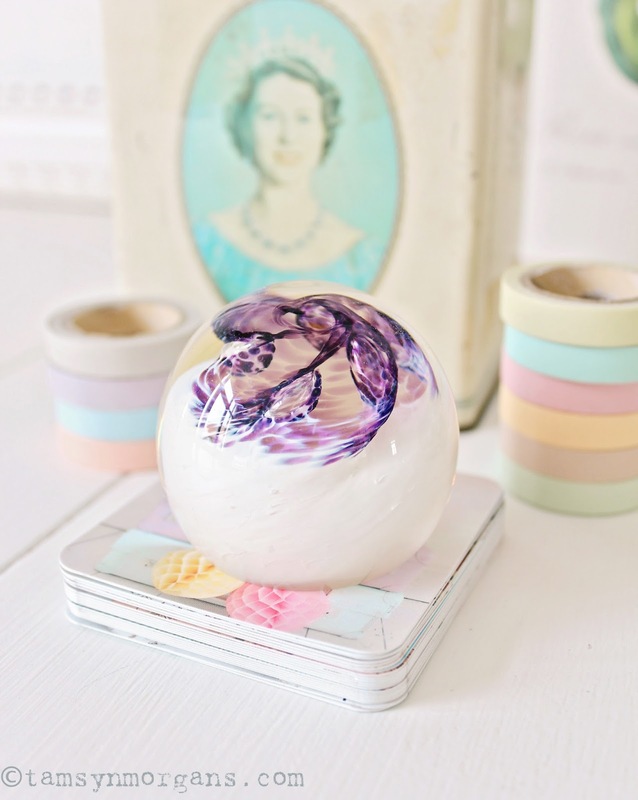 Every desk needs a pretty paperweight, I’ve used this one to keep my business cards organised. 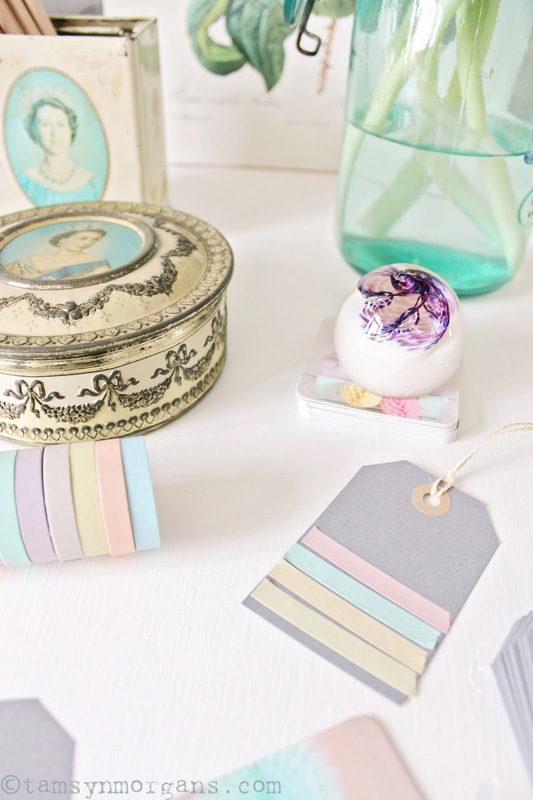 Washi tape and luggage labels are always useful to have for gift wrapping – I’ve decorated some of my labels by adding strips of pretty tape. I’m going to have to watch the paperweight, as my daughter has a little collection herself – I think she has her eye on this one already! Lovely as always! I truly enjoy all of your content and posts, thank you. I'm swooning so hard over this desk! I love the tins and the colors (as always). Pure dream!